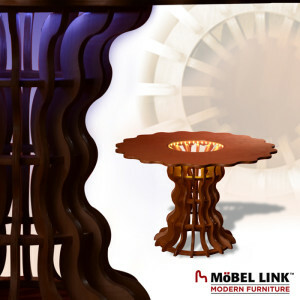 Our Bumbershoot Table is a work of art, in addition to being a functional and durable piece of furniture. 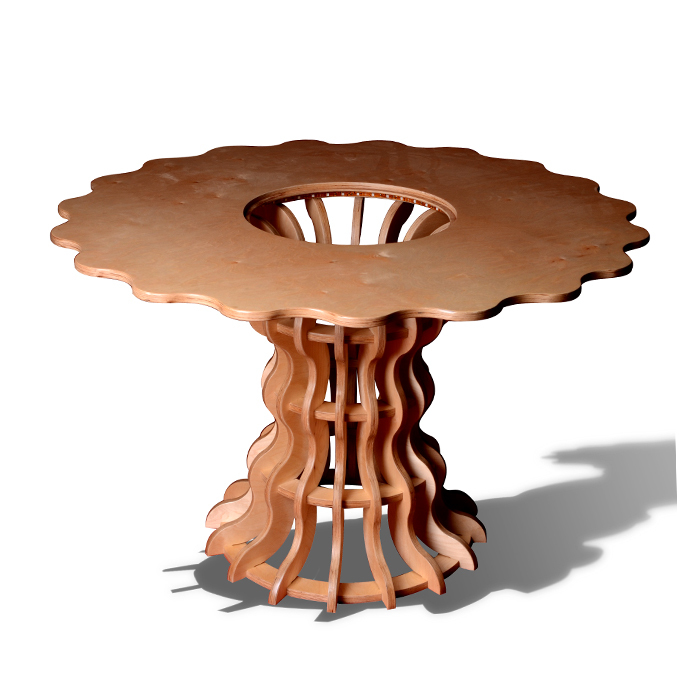 Handcrafted in Detroit, and made from sustainably grown and harvested plywood, the Bumbershoot Table is formaldehyde-free. 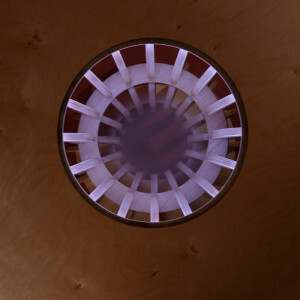 The Bumbershoot Table is also available with or without glass inset and/or with or without LED lights. 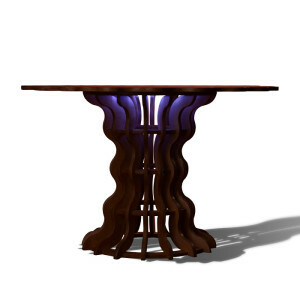 Why settle for an ordinary table when you can own a piece of furniture that is also a handcrafted work of art? Named, of course, in honor of its stunning umbrella-esque lines – this is one table you won’t ever consider hiding underneath a tablecloth. Crafted from beautiful and durable Baltic birch, each Bumbersoot table is made-to-order in your choice of color or finish. We can also create a custom color, or custom match furniture you own, for an additional charge. 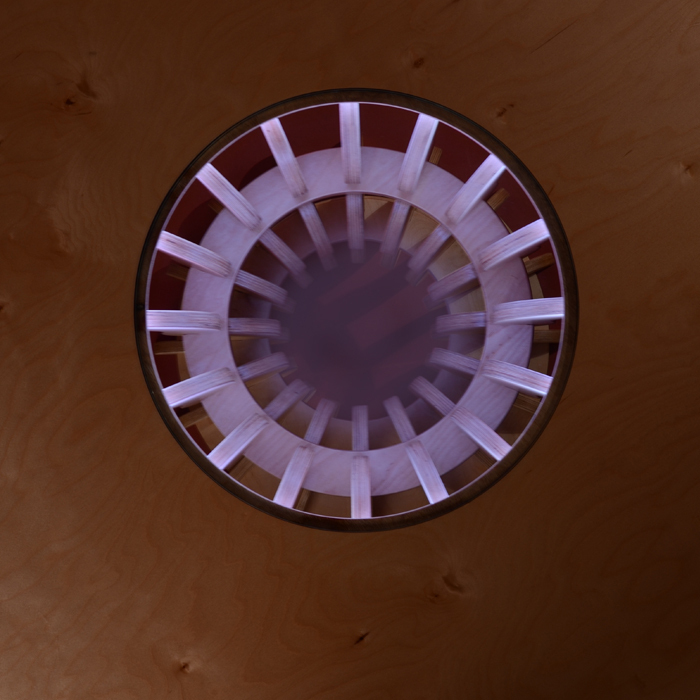 The Bumbershoot can be constructed to include an optional glass insert, and also offers optional LED lighting that will fill your room with a warm and dramatic glow.